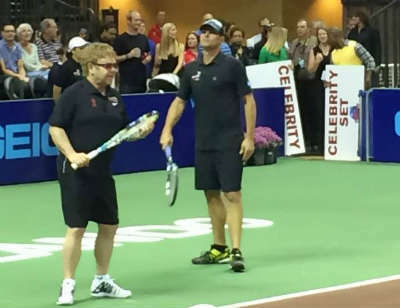 This weekend, the Mylan WTT Smash Hits charity tennis tournament was held at ESPN Wide World of Sports at Walt Disney World, and raised more than $700,000 for the Elton John AIDS Foundation and local charities. 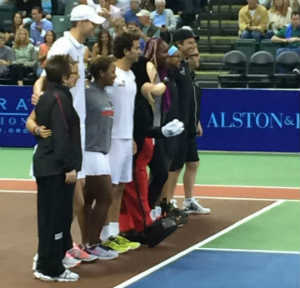 It was Team Elton, featuring Elton John, Andy Roddick, Venus Williams, Vicky Duval, and Robert Kendrick, versus Team Billie Jean, featuring Billie Jean King, John Isner, Marion Bartoli, Taylor Townsend, Jean-Julien Rojer. Team Elton defeated Team Billie Jean 24-18.